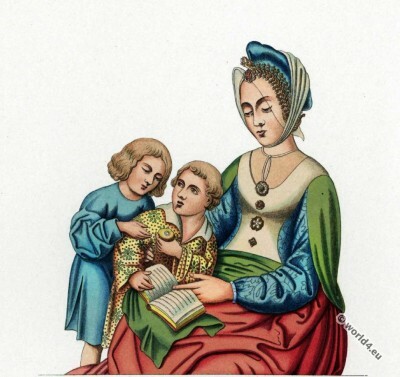 Women and children costume from 1470. This entry was posted in 1470, 15th Century, Child, Dutch, Middle Ages, Netherlands and tagged Burgundian fashion period, Children Costumes, Costumes art and utensils, Gothic costumes, Jewelry, Medieval costume on 12/12/15 by world4. Pelisse de Satin doublé poil de Chat-Angora. 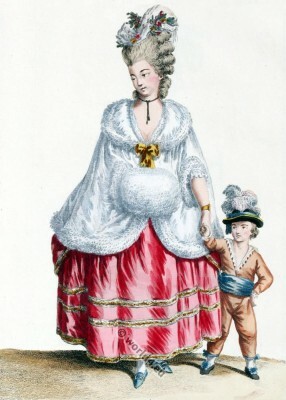 Pelisse de Satin doublé poil de Chat-Angora 1780. This entry was posted in 1780, 18th Century, Ancien Régime, Child, France, Galerie des Modes, Rococo and tagged Children Costumes, Collection d'habillements modernes, Rococo fashion on 12/11/14 by world4. Portrait “Nina” by Arthur E. Vokes. Portrait “Nina” Water color by Arthur E. Vokes (1851-1951). 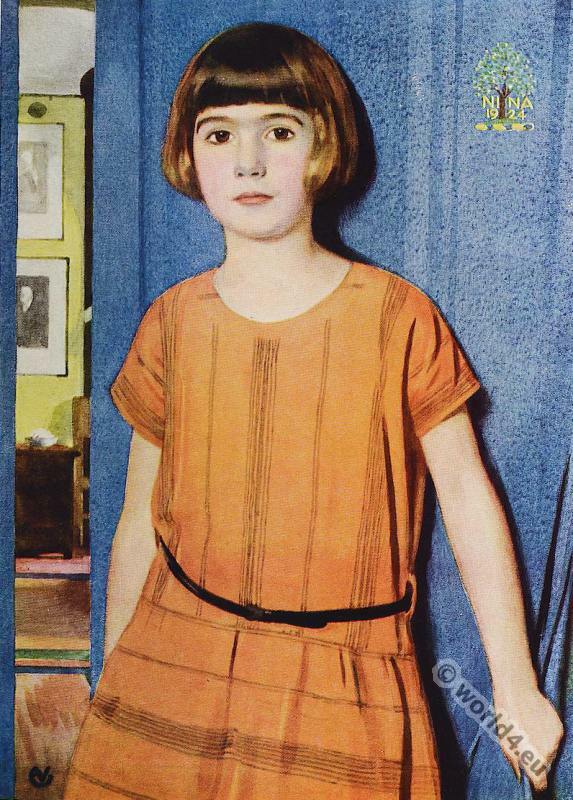 Art deco children fashion and hairstyle 1924. 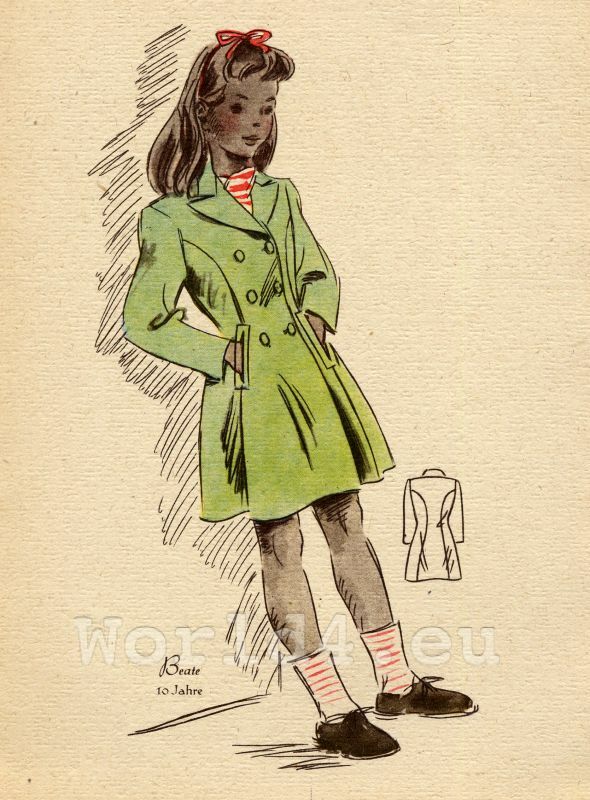 This entry was posted in 20s, 20th Century, Child, Hairstyle and tagged Art Deco Fashion, Artist, Children Costumes on 11/25/14 by world4. 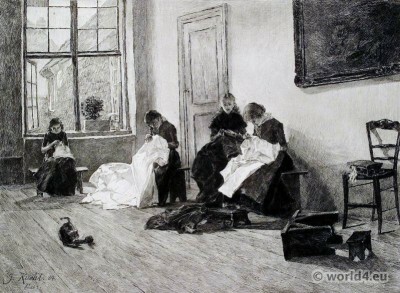 A group of orphan girls from Lubeck Germany at needlework in the workroom of the orphanage. Painting by G. Kuehl 1884. 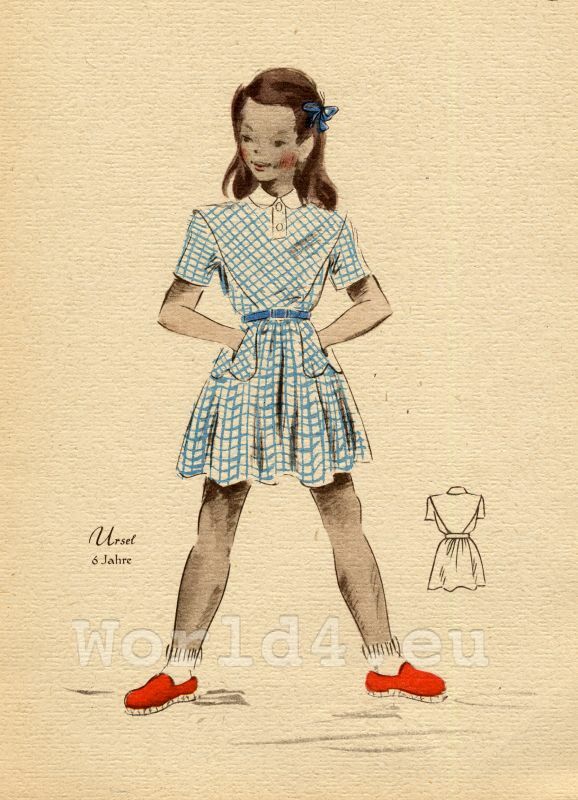 This entry was posted in 1880, 19th Century, Child, Germany and tagged Children Costumes on 1/8/14 by world4. 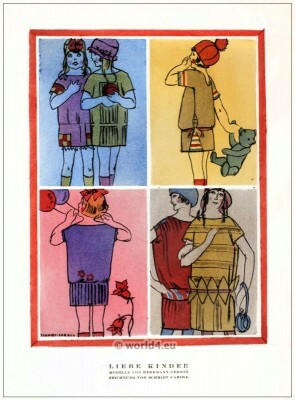 Kids Costumes by Herrmann Gerson. Children Dresses by Herrmann Gerson. Dear children. Kids Costumes by Herrmann Gerson. Drawing by Schmidt-Caroll. 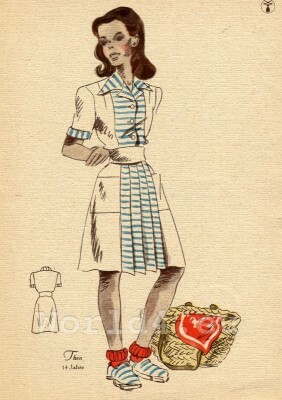 Style, table 5, April-May 1922. 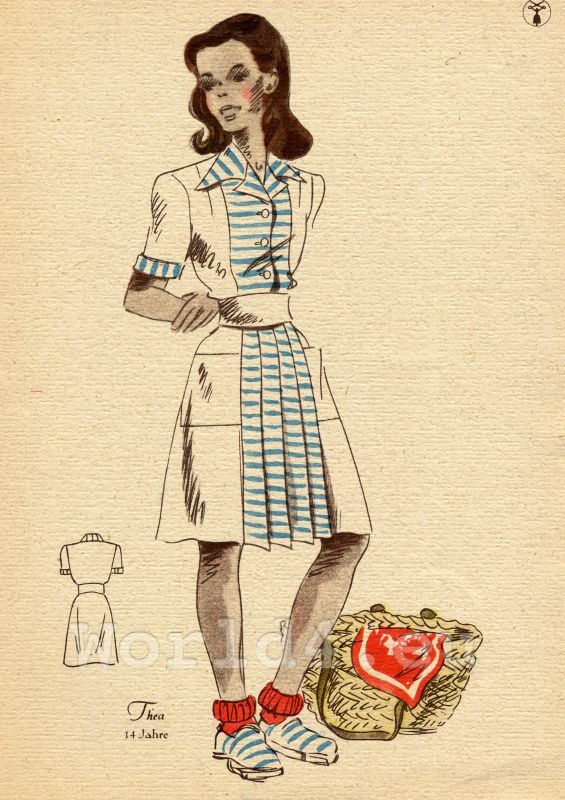 This entry was posted in 1922, 20s, 20th Century, Art Deco Period, Child, Germany and tagged Art Deco Fashion, Children Costumes, STYL on 1/3/14 by world4. 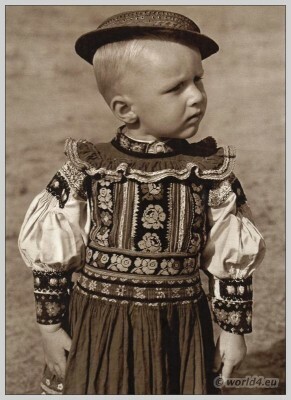 Traditional Slovakia Child costume. Boy from Dobrá Niva. Boy in traditional costume from Dobrá Niva, Slovakia. Dobra Niva, in German called Döbring or Dobrone in Hungarian, is a village in central Slovakia. It lies on the River Neresnica between the mountains and Selmec Javorie Mountains, 13 km south of Zvolen. The first written mention was made in 1254 as Dobrum. Enclosed is a film about the local carnival in the year of 2011 by Ján Cuth. The film shows not only imaginative costumes of the local residents, it is characterized by a very subtle and unobtrusive camera work. A pearl in the big web swamp. 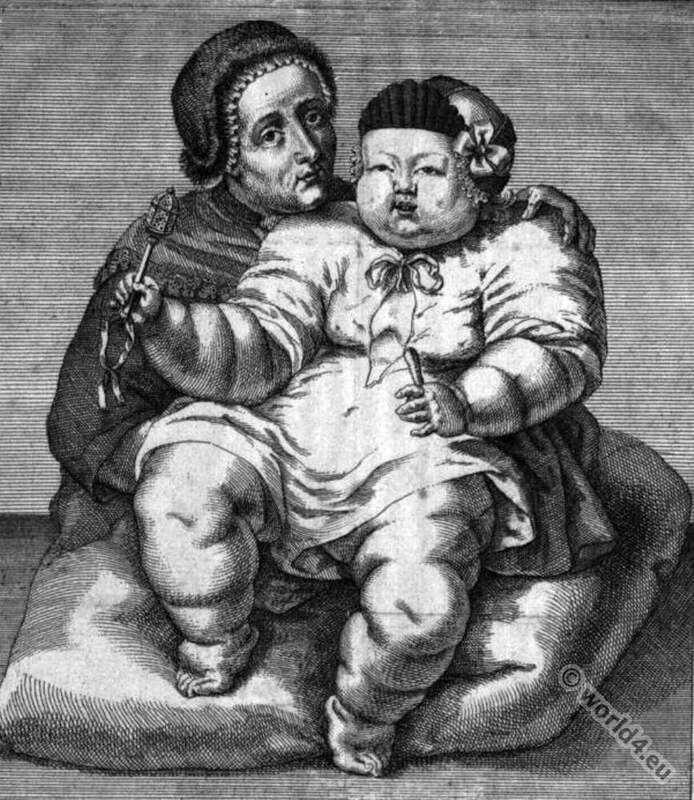 The boy in the picture is perhaps even present in the room. The festival derives with a waltz and this scene alone, the great hall, the lighting, the decoration and then the first dancers, reminiscent of great cinema in the style of David Lynch. One would have liked to seen the end of the festival. 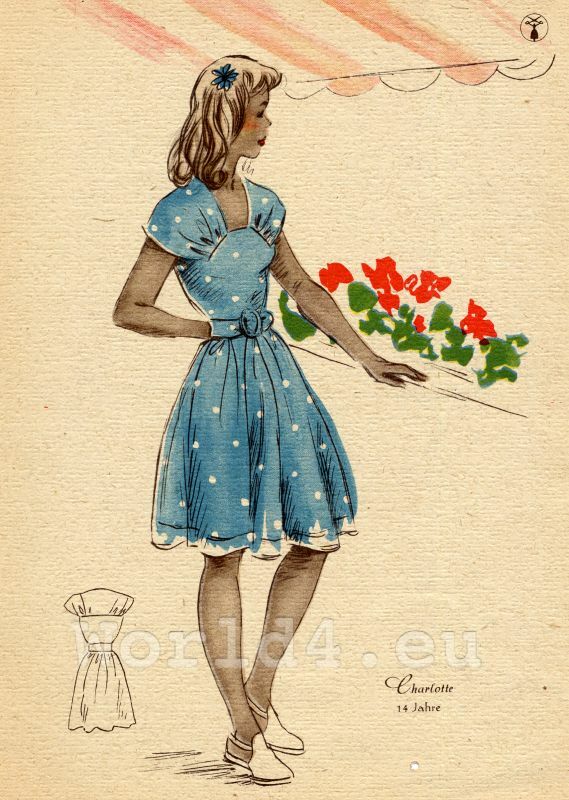 This entry was posted in 20th Century, Child, Slovakia, Traditional and tagged Children Costumes, Embroidery designs, Slovakian National Costumes on 9/16/13 by world4.